"Therefore thus saith the Lord God, Behold, I lay in Zion for a foundation a stone, a tried stone, a precious corner stone, a sure foundation: he that believeth shall not make haste." Isaiah 28:16. "Behold, I lay in Sion a chief corner stone, elect, precious: and he that believeth on him shall not be confounded." 1 Peter 2:6. Peter knew that Jesus is the corner stone and foundation that our faith is built upon. The Jewish leaders may have recognized their Messiah if they had believed prophecy, but they were blinded by tradition and misinterpretation. Have we learned from their mistakes? Not really. Many Bible teachers ignore prophecy because it's "too vague" or they try to twist it to fit their purposes. We live in the end times disclosed by Biblical prophecy and we need to pay attention. A key to understanding prophecy is to believe what God says. Trying to force prophecy to fit human understanding is like trying to force a square peg into a round hole. If the square peg (human understanding) is adjusted to fit the round hole (God's information) then it fits nicely. Throughout Scripture we see that God's prophetic messages are always correct. Daniel was a highly educated young Jewish man who lived in Jerusalem. Then the Babylonian army attacked, Daniel was taken prisoner, and Jerusalem and the Temple were destroyed. Though living in a pagan culture Daniel never failed to honor God Almighty throughout his life. He had a prophetic letter written by Jeremiah to those who Nebuchadnezzar had taken captive from Jerusalem to Babylon. "For thus saith the LORD, That after seventy years be accomplished at Babylon I will visit you, and perform my good word toward you, in causing you to return to this place." Jeremiah 29:10. Daniel didn't try to come up with a replacement theology regarding who God really meant would return after 70 year, but he believed that God said what He meant. As time went on he realized that the captivity was soon to be over and that the Jewish people soon would be re-gathered in the land and city that God had given to them forever. "In the first year of his reign I Daniel, understood by books the number of the years, whereof the word of the LORD came to Jeremiah the prophet, that he would accomplish seventy years in the desolations of Jerusalem." Daniel 9:2. Daniel took the prophecy of Jeremiah seriously and his reaction was to fast and pray. We need to take a lesson from Daniel. Prophecy is information God gives us and He means for us to understand. 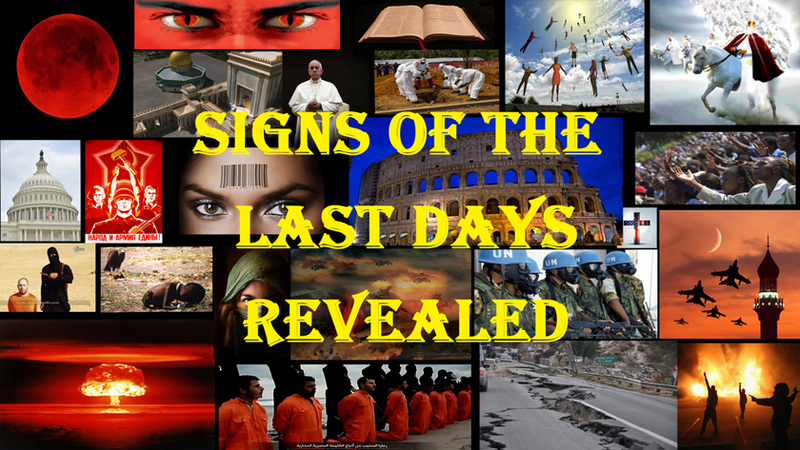 There are many end time prophecies being fulfilled today and we need to take them seriously. Maybe we should fast and pray. Space restricts mentioning all of the end times prophecies, but let me first state emphatically that the "church" has not replaced Israel. We have our own place in God's timeline, but Israel is still the main subject of these prophecies. Let's start by looking back to the time when Jesus began His ministry on earth. Jesus fulfilled hundreds of prophecies during the time He walked through the Holy Land proclaiming the Good News to all who would listen. When Jesus began His ministry He entered into the synagogue in Nazareth and read from Isaiah. "The Spirit of the Lord is upon me, because he hath anointed me to preach the gospel to the poor; he hath sent me to heal the brokenhearted, to preach deliverance to the captives, and recovering of sight to the blind, and set at liberty them that are bruised, to preach the acceptable year of the Lord. And he closed the book, and he gave it again to the minister, and sat down. And the eyes of all them that were in the synagogue were fastened on him. And he began to say unto them, This day is this scripture fulfilled in your ears." Luke 4:18-21. The passage He chose is found in Isaiah 61:1-2a and described His first coming. He didn't read the entire passage from Isaiah but said that this Scripture was fulfilled. What did the rest of the passage say? "...and the day of vengeance of our God; to comfort all that mourn: to appoint unto them that mourn in Zion, to give unto them beauty for ashes, the oil of joy for mourning, the garment of praise for the spirit of heaviness; that they might be called trees of righteousness, the planting of the LORD, that he might be glorified." Isaiah 61:2b-3. Verse numbers were added long after this was written and verses 1-3 are one sentence. The portion of the prophecy that Jesus read tells of the first coming of Christ, which is why He stopped where He did. The rest describes the Tribulation period when the wrath of God will be poured out and also the Kingdom Age. Today we can look back and fully understand that Jesus was the One prophesied, but we also need to understand that the full prophecy will be fulfilled in the future...the near future. What do we miss by not taking God at His word? For centuries many so called Bible scholars taught that Christians had replaced Israel since the Temple had been destroyed and the Jews had been dispersed to all nations. Nothing could be further from the truth. It's too bad these "scholars" didn't believe prophecy just as Daniel believed it. God said that Israel would be reestablished as a nation and in 1948 it happened. "And I will bring again the captivity of my people of Israel, and they shall build the waste cities, and inhabit them; and they shall plant vineyards, and drink the wine thereof; they shall also make gardens, and eat the fruit of them. And I will plant them upon their land, and they shall no more be pulled up out of their land which I have given them saith the LORD thy God." Amos 9:14-15. Israel was re-established as a nation n 1948 and the Jewish people are returning. Many nations are trying to wipe them off the map, but God says that this time they are there permanently. I believe God. He also said that when they are brought back the second time they will be one nation rather than two (Israel had been the Northern Kingdom before being conquered by Assyria and Judah had been the Southern Kingdom which had been conquered by Babylon). "Then shall the children of Judah and the children of Israel be gathered together, and appoint themselves one head, and they shall come up out of the land: for Great shall be the day of Jezreel." Hosea 1:11. Today all twelve of the Jewish tribes are returning to the land God had given to Abraham and it's called Israel. There are many more prophecies regarding Israel being re-established. These have been fulfilled and we can be sure that all of God's prophecies will be fulfilled. I'm always disappointed when I look at the news and see what passes as newsworthy. In America it seems as if the latest Hollywood scandal is more important than what's happening in places like Damascus and how that relates to prophecy. "The burden of Damascus. Behold, Damascus is taken away from being a city, and it shall be a ruinous heap." Isaiah 17:1. This prophecy speaks of an end time event and today Damascus is nearly a ruinous heap. There are many other happenings in the Middle East that are much more relevant to life than the latest celebrity who hates Donald Trump or who's getting a divorce. Have you been keeping track of the peace deal that Jared Kushner is going to present to Israel and the surrounding nations? I'm not saying that Mr. Kushner is the Anti-Christ. In fact, speculation about that is silly. Christians will be taken Home in the Rapture before the man of sin is revealed. On the other hand we need to look at the signs of the times. There will be a covenant which this evil man will confirm so this could be that covenant, but that's speculation. "And he shall confirm the covenant with many for one week: and in the midst of the week he shall cause the sacrifice and the oblation to cease, and for the overspreading of abominations he shall make it desolate, even until the consummation and that determined shall be poured upon the desolate" Daniel 9:27 (Also see Daniel 12:11). This is from a prophecy that was given to Daniel regarding the end of time. The "week" is a seven year period of time that's known as "Daniel's 70th week" and "the time of Jacob's trouble". This prophecy, as well as others, tells us that it has nothing to do with Christians...Christians don't do sacrifices and oblations. The Jewish priests will do these sacrifices in the rebuilt Temple, which must be there in order for the man of sin to desecrate it. "When ye therefore shall see the abomination of desolation, spoken of by Daniel the prophet, stand in the holy place, (whoso readeth, let him understand:) then let them which be in Judaea flee into the mountains": Matthew 24:15-16. Jesus took Daniel's prophecy seriously. By reading Daniel 11:31, Daniel 12:11, and Revelation chapter 13 we know that this happens half way through Daniel's 70th week and marks the beginning of the Great Tribulation. Today the Temple Institute has everything they need to be used in the Temple as soon as they're allowed to rebuild it. The signs of the times are happening quickly, so watch and be ready. 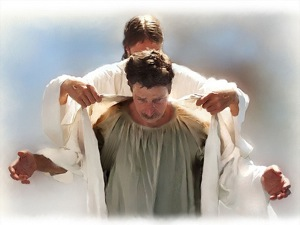 This brings us to the Rapture...a blessing for everyone who's accepted Christ for salvation. The seven year period in Daniel's prophecy is the final seven years of the age, and Jesus said that the last half of that week will be worse than anything that has happened before. God's wrath will be poured out upon those left in the world who will serve Satan and hate God Almighty. Remember, this is the time of Jacob's trouble, which means that the nation of Israel will be the focus of much hatred. The word "Rapture" isn't in our English Bible but if we had a Latin Bible we would see it. The Greek word is harpazō and means to be seized by force or snatched away. It's used in numerous Scriptures, including John 10:28 &29, Acts 8:39, 2 Corinthians 12:2 & 4, and 1 Thessalonians 4:17. In Revelation we read letters to seven churches which give a prophecy of the church age, ending with the Laodicean church, which is very much like today. Jesus isn't welcome inside the congregation. With that final letter the "church age" is over and the next event is the Rapture. "After this I looked, and, behold, a door was opened in heaven: and the first voice which I heard was as it were of a trumpet talking with me; which said, Come up hither, and I will shew thee things which must be hereafter." Revelation 4:1. The Greek words "meta tauta" are translated "after this" and "hereafter" and means first the preceding happens and then the next thing. In this instance the description of the church age is over, the catching up to Heaven is next, and John is told he will see what follows that event. Revelation chapters 4 and 5 tell of Christians in Heaven. It'll be awesome. Revelation chapter 6 begins the judgment of God when the Lamb opens the first seal. The following chapters tell of the horrendous wrath that will be poured out upon those who rejected Christ and haven't been Raptured. Prophecy is one of the most intriguing subjects contained in God's word. As we approach the final days of world history the prophecies are becoming more clearly understood. When Daniel was given the end time prophecy he wanted to know the meaning. "But thou, O Daniel, shut up the words and seal the book, even to the time of the end: many shall run to and fro, and knowledge shall be increased." Daniel 12:4. In other words, understanding would come when the end was near. We're at that time in history. I've barely scratched the surface of the list of prophecies being fulfilled today. If you're waiting for a better time to give your life to Christ, don't delay. If there's someone you've put off sharing the Gospel with, do it now. As rapidly as prophecy is being fulfilled, God could call us Home at any moment. Only faith in the sacrifice that Jesus made on the cross will save anyone from God's wrath. Accept Him now because it will soon be too late. 4 “For as many as are led by the Spirit of God, they are the sons of God. Of all the passages that Paul wrote, Romans chapter 8 remains one of my favorites. And the Apostle John confirms what Paul spoke of in this glorious chapter. The chapter is full of promises to the children of God. When I look at these particular passages, I become almost awe struck at its implications that speak of the plans that God has for each of His children. But let this passages sink in for a moment as you meditate on its deep meaning. “Heirs and joint-heirs with Christ” and we will be “like Christ” is what Paul and John under the Holy Spirit's direction wrote. 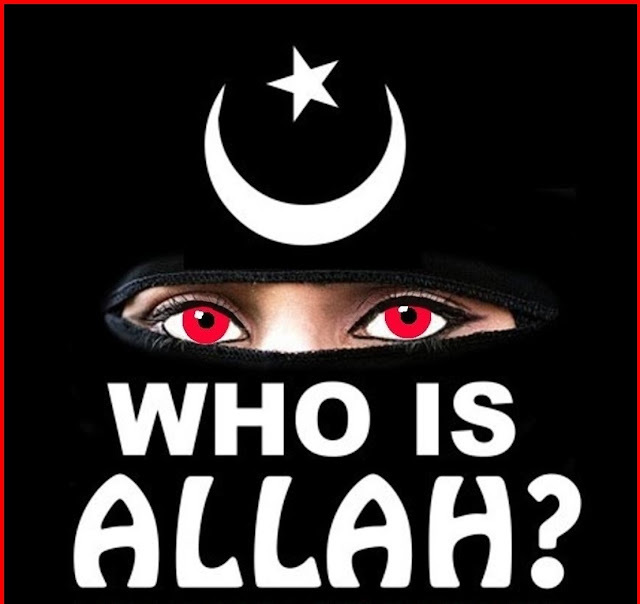 What does this mean to the believer.? I wrote about this very fact in times past about Church Age saints being adopted into the “family of God”. It's a most glorious promise to those who have accepted the payment for their sins, through Jesus Christ our Lord. Besides being our Lord and Savior, our King and our God, Jesus could also be given the title in relationship to other children of God, as our “Big Brother” as He is our “Kinsman Redeemer”. I've heard that expression plenty of times, and I find it very hard to use the term “big Brother” , as I would never speak it to Him as such, since Jesus is God in the flesh, but in the family sense of what God our “Abba” Father has planned along with His Son from the very beginning of time, it is a family relationship that has been planned since before time even began. 29 “For whom he did foreknow, he also did predestinate to be conformed to the image of his Son, that he might be the firstborn among many brethren. (many brothers and sisters) my emphasis. This is beyond my comprehension, but within a finite mind that only grasp in part what Paul is saying that God will give us all things in an equal share all that belongs to our King Jesus. All the rights of a family member will be given in equal parts to each of those who have been called the “children of God”. When we speak of sons or children of God, that is not to say that we will be Gods ourselves, as some so erroneously believe Paul is speaking of here. No, we will be Kings and Priest to our God for all eternity. We will be given duties and responsibilities that any family that is headed by a family Patriarch, will work for the family in following the commands and the will of the Head of the Family. The Head of the family is God our Father, whom we call our Father “Abba”, and God Almighty. But I liken it to the phrase, we will be of the “God Kind”. We cannot begin to know in complete knowledge or begin to comprehend all that God has got planned for us. 9 “But as it is written, Eye hath not seen, nor ear heard, neither have entered into the heart of man, the things which God hath prepared for them that love him. “O wretched man that I am! who shall deliver me from the body of this death? 10 “Finally, my brethren, be strong in the Lord, and in the power of his might. “Have mercy upon me, O God, according to thy loving kindness: according unto the multitude of thy tender mercies blot out my transgressions. Even David, a man God called “a man after God's own heart” was subject to temptation and sin. King David humbled himself, and did not try to hide his sin from God, but confessed it and asked for forgiveness in tears and anguish. God honors a broken and contrite heart, when it is done in genuine guilt and repentance. And God said that our sin would be as far as the east is from the west, and would remember it no more. 33 “Who shall lay any thing to the charge of God's elect? It is God that justifieth. “I waited patiently for the Lord; and he inclined unto me, and heard my cry. We all search for a way back to God or their definition of God. They search for peace and a place called Heaven. They put their trust in “religions” and spiritual enlightenment or many put their trust in themselves and don't think they need God. Oh, how wrong each of them are. That void in your heart, that void in your mind, and that void that is searching for what makes life worth living, is found in only one place, AT THE CROSS. (I call this our God Hole, that must be filled with Jesus Christ). That is where our Savior died, my Savior, your Savior if you would only choose Him and repent of your sins and turn to Him in all humility and repentance.